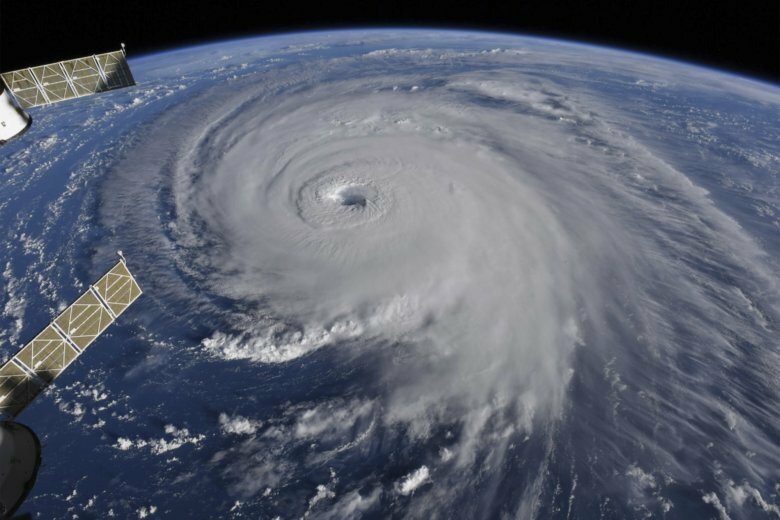 WASHINGTON (AP) — Oddly, the closer Hurricane Florence gets to land the murkier its future gets. That’s because the weather systems that push and pull a storm disappear as Florence nears land around the border between North and South Carolina. The storm is expected to slow down, stall and then perhaps wander just off the Carolina shore as it nears the coast Thursday, Friday and Saturday. “For a meandering storm, the biggest concern — as we saw with Harvey — is the huge amount rainfall,” said Chris Landsea, chief of tropical analysis and forecast branch at the National Hurricane Center. “It certainly is a challenge forecasting precise impacts when its exact track won’t be known until a day in advance,” Landsea said. And there’s “a huge difference” in the size and type of damage Florence inflicts if it stays 50 miles (80 kilometers) off shore versus heading inland immediately, Landsea said. “It’s going to coming roaring up to the coast Thursday night and say ‘I’m not sure I really want to do this and I’ll just take a tour of the coast and decide where I want to go inland,'” said Jeff Masters, meteorology director of the private Weather Underground. Masters said there’s a tug-of-war between two clear skies high pressure systems — one off the coast and one over Michigan — and the more the Great Lakes one wins, the more southerly Florence will be. And if Florence weren’t enough, other storms out there are threatening people. Tropical Storm Olivia is approaching the Hawaiian islands, the Philippines are bracing for the powerful typhoon Mangkhut, and Tropical Storm Isaac is nearing the Leeward Islands. Hurricane Helene is threatening no one in the Atlantic.